Manufacturing is the most data-intensive industry there is. Mining the massive amounts of data a manufacturing operation generates daily opens up new opportunities to improve operational processes, empower employees and win more business. 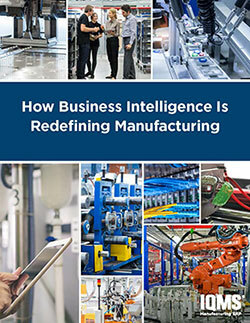 Download the whitepaper to learn how BI and Manufacturing Intelligence can provide you new data-driven insights and guidance to help drive improvements throughout your organization and support new growth opportunities.